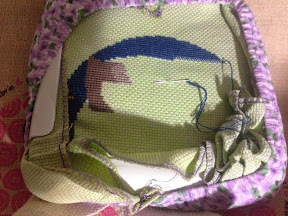 StitchyDonDesigns: Owl Project, The Moon Gets Bigger !!! Owl Project, The Moon Gets Bigger !!! Wow that's a lot of progress! The Moon Starts to Shine !!! Long Time No Blog !! !